I love putting together Christmas boxes. Or Birthday boxes or Easter boxes or Halloween boxes or boxes for any other occasion for that matter. I love the thought that when the box is opened the receiver will see all sorts of colours and shapes and will spend some time opening lots of different presents. You’d think that this means that I love opening presents myself but it doesn’t work that way. There is just something about putting a box together that is totally fun and satisfying. So…what goes into the box? Well, there are rules. First…there must be something yummy so for Edda that means something sweet and for Robyn that means something savory. It’s important to cater to the tastes of the receiver. Next…there must be something homemade that is not food. This means the giver needs to be a bit creative. Knitted hat and mittens or a piece of pottery or candles or whatever. 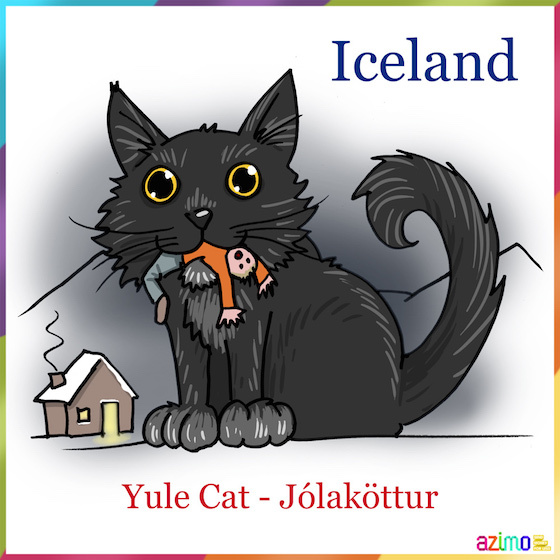 Lucky for me, the Icelandic Christmas Cat eats children who do not get new clothing for Christmas so I can send something for Edda to wear and not feel bad for sending boring old clothes. Next… there needs to be something to do. Maybe a game, maybe a book, maybe a toy, maybe supplies for a craft…something that will keep the receiver busy for a while. One of the rules is that everything must be wrapped individually so there are LOTS of things to open. Opening the box should be an event and not doable in just a couple of quick rips. Once the outside box is unwrapped, everything inside should also need opening. I have been known to individually wrap marbles and gumballs. To make the opening event more exciting, you can “forget” to tag anything in the box. This only works if the box is for a group of people. That way the opening event includes surprise and fun when the gift opened is completely wrong for the opener and the ensuing trade negotiations with other openers. For example, when the big burly football playing nephew opens the tiny pink tutu or when the newest baby opens the jar of hot salsa. The opening event should be a part of the present. The giver should get as joy from putting the box together as the receiver will have getting the box so take your time and have fun. 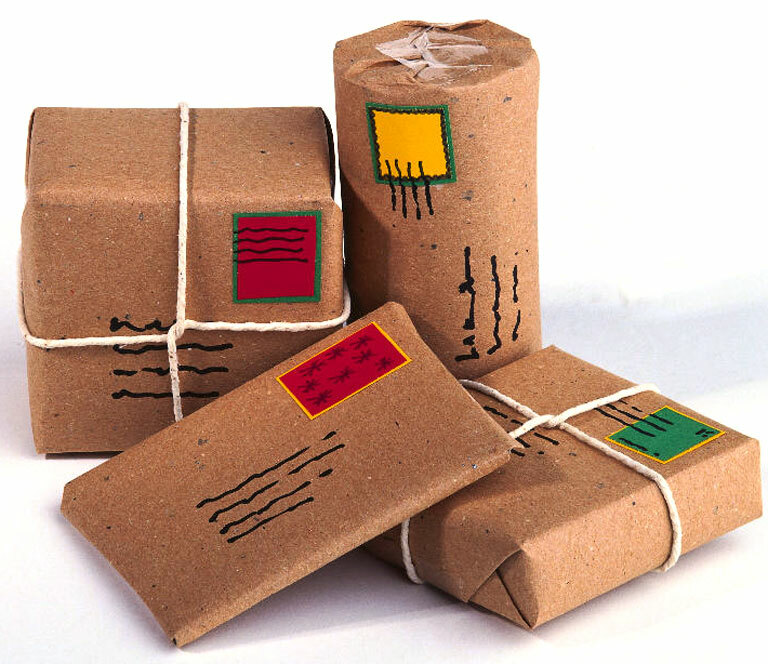 Creating and sending parcels is a wonderful way to spend time with someone that you can’t be with in person.